Happy New Year everyone, wishing everyone a healthy and prosperous year. It's hard to believe that 2018 is behind us and we're almost through the first month of 2019. 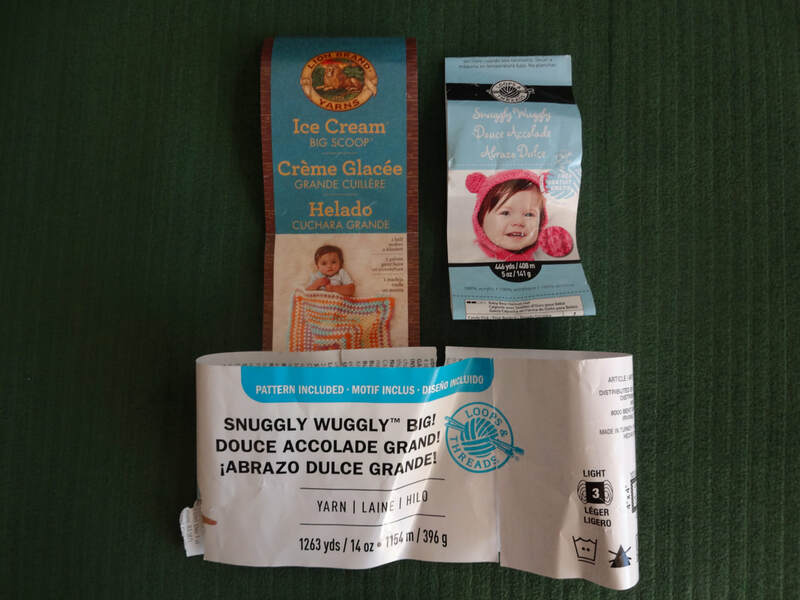 I have no specific crafting goals this year other than to produce as many items as possible. 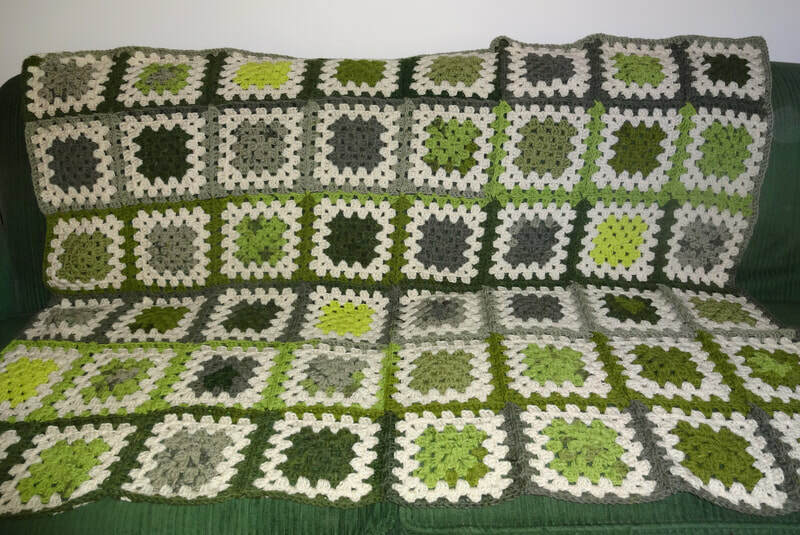 Below are the last two blankets I finished in 2018. 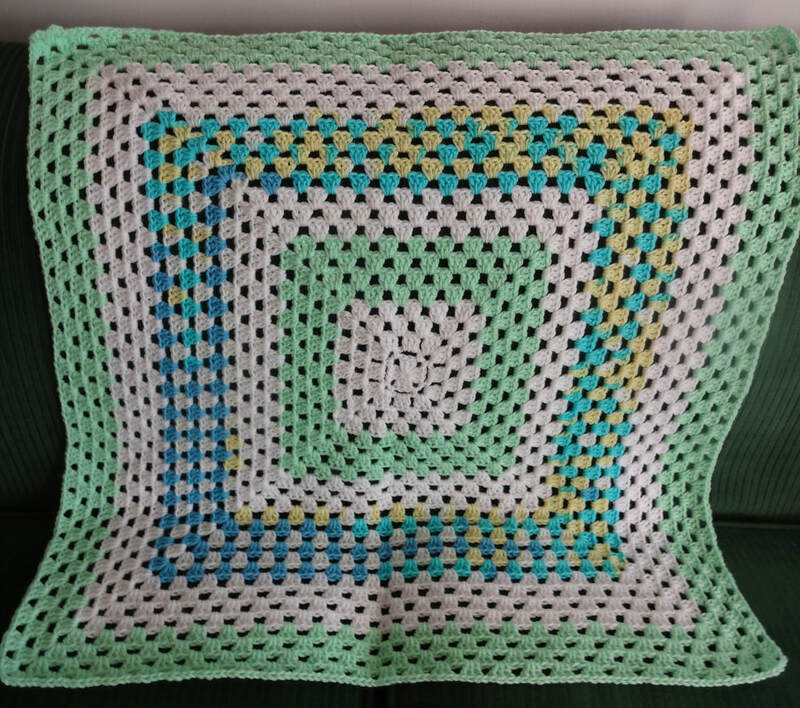 I already have one baby blanket produced for 2019, stay tuned for the picture. Life has been hectic since the last time I posted. 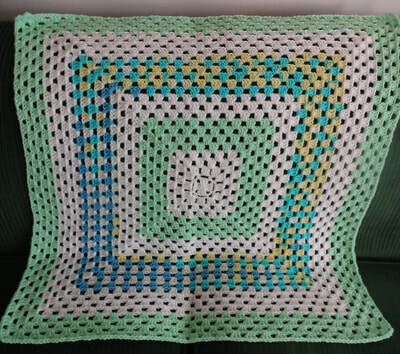 Whipped up a child’s blanket for an arts & craft event where I attempted to teach a group of students how to crochet. 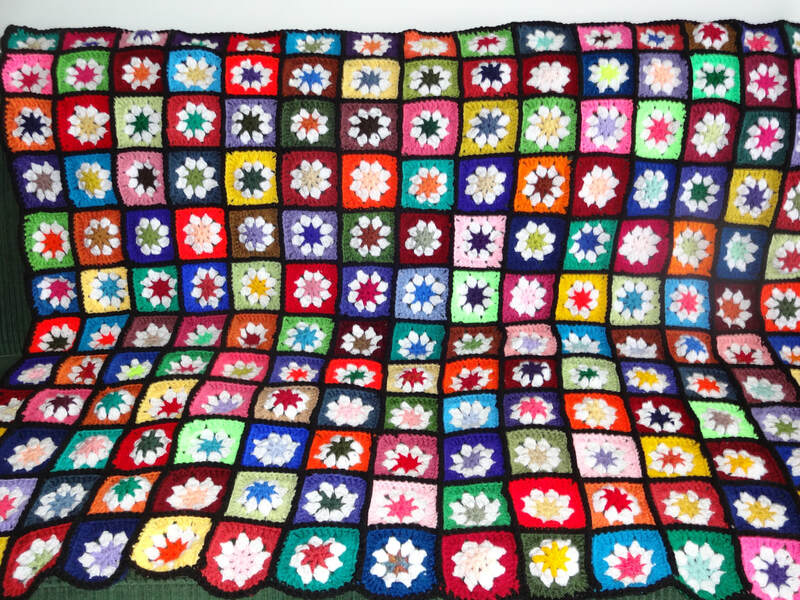 The orange, brown and cream blanket was created to demonstrate what can be done with squares. 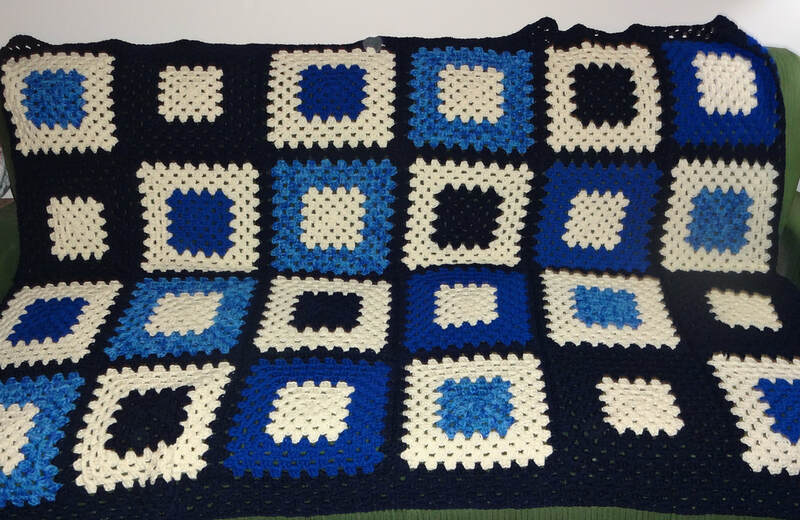 I just completed the series of blues blanket for the men’s shelter. 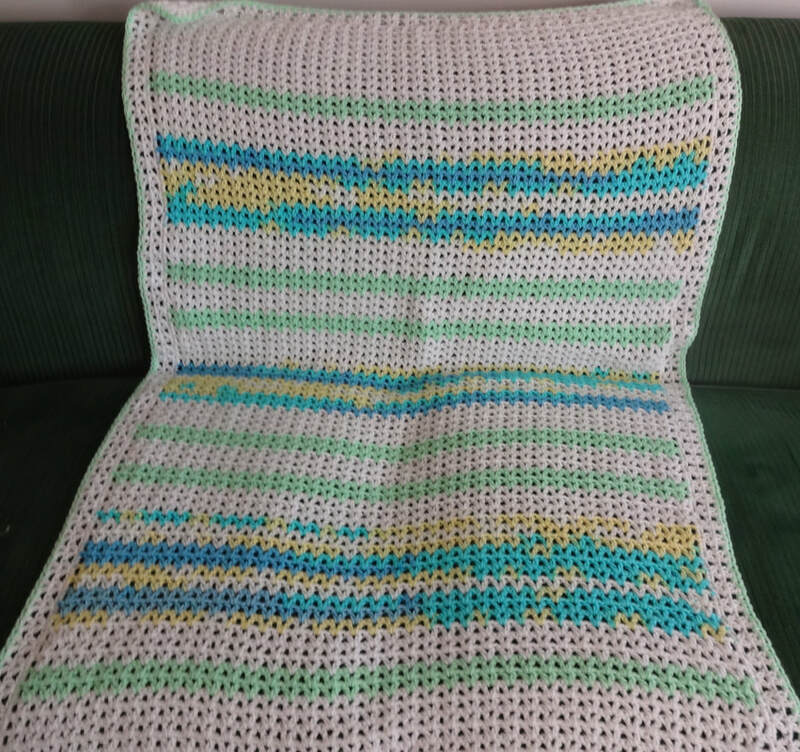 In my previous post you saw the start of a blanket. Who knew that three blankets would result from two large balls and one small ball of contrast yarn! 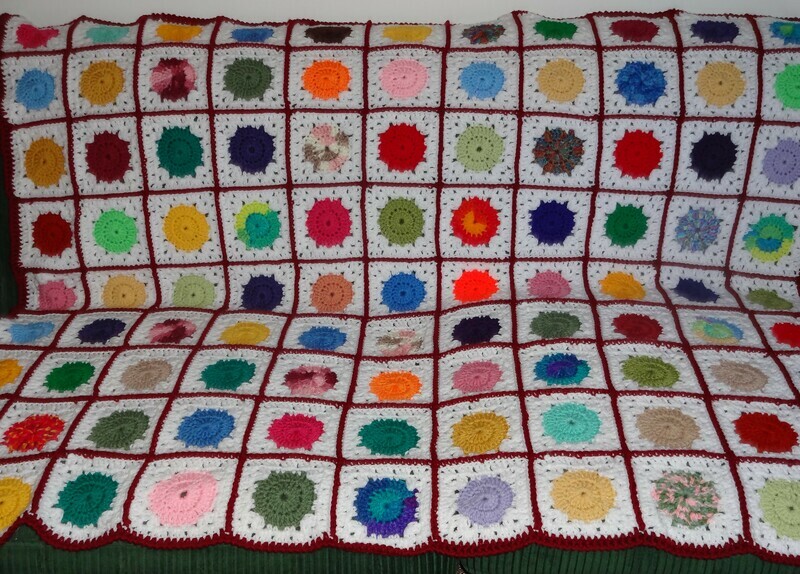 They say variety is the spice of life so I crocheted a V-stitch, granny square and a rectangular granny square blanket. First time working with the Snuggly Wuggly yarn, love it, it’s so soft. I can’t believe it’s mid-April, this year is flying by. The calendar says it’s spring but this weekend is one continuous ice storm, I am NOT amused. Wishing everyone a great year. It’s another year, another year of possibilities. As you might have noticed it’s been months since I last posted. Sorry, but these past few months have been hectic working on other projects. Unfortunately I’ve also gotten behind in my crocheting. 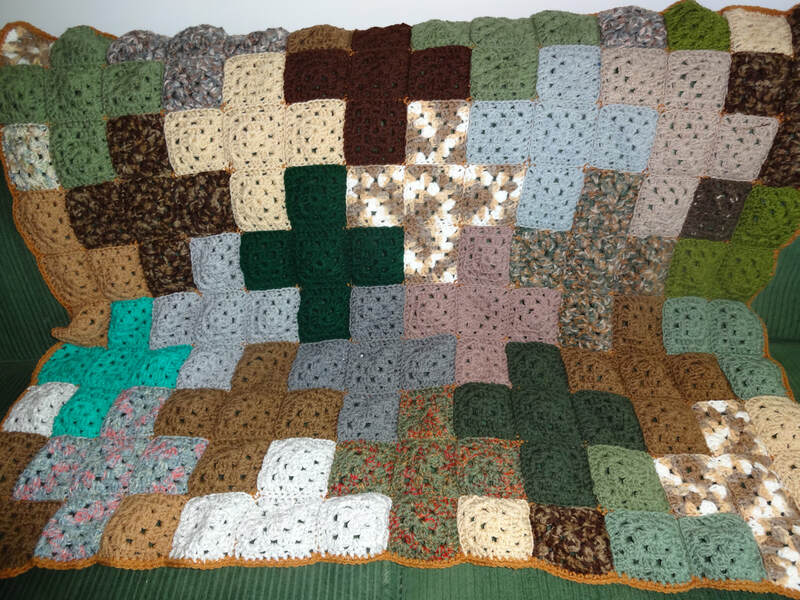 Like last year for 2018 I want to focus on completing WIPs (works-in-progress) and sewing donated squares into blankets. Over the holidays I managed to get a few rows in on this never-ending yarn stash buster. 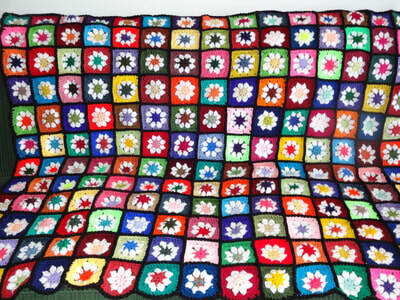 Since last checking in I’ve assembled six blankets from donated squares. 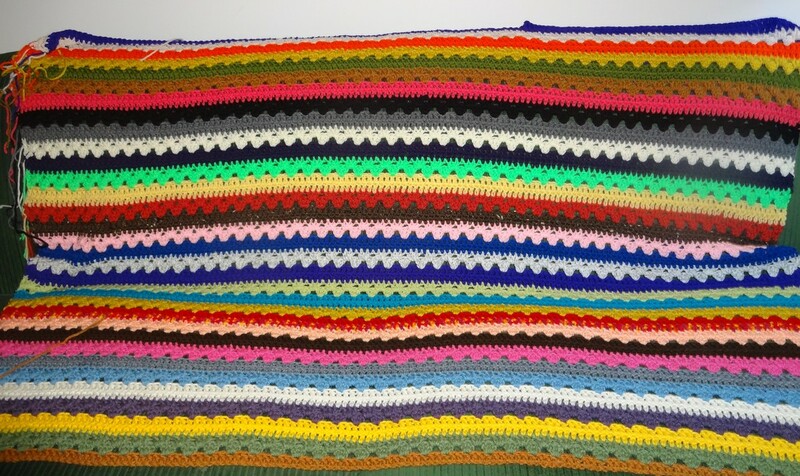 Now that summer is unfortunately coming to an end it’s time to get back to completing one more personal blanket. 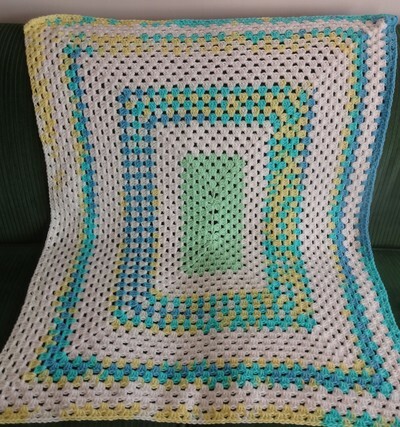 I definitely want to reach the goal of two blankets for this summer. 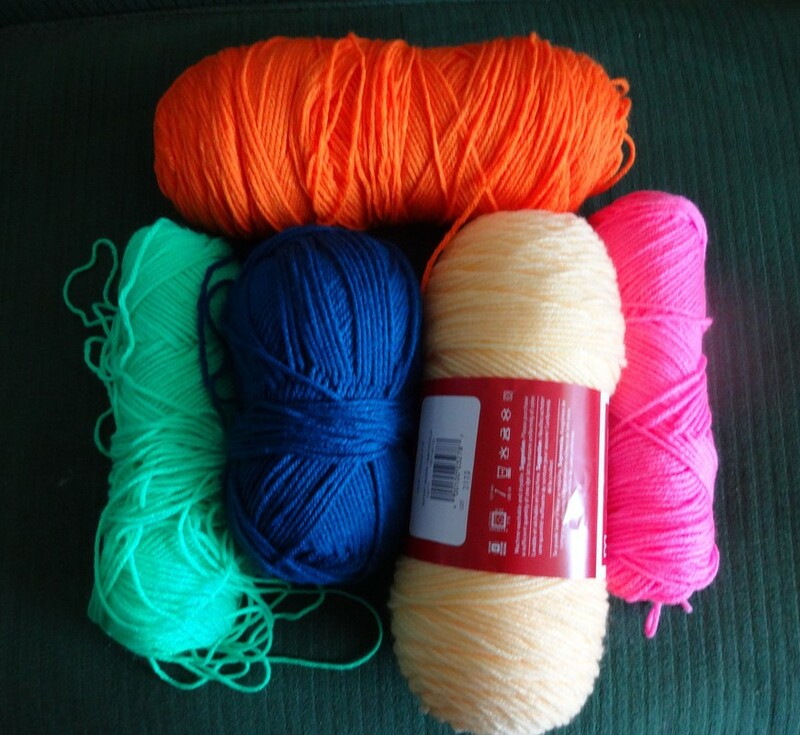 When looking for some joining yarn I came across a stash of bright colours. What can I say, often I’m drawn to colours based on the season and what better time to work with these delightful shades than during the summer months? Stayed tuned to see the outcome. 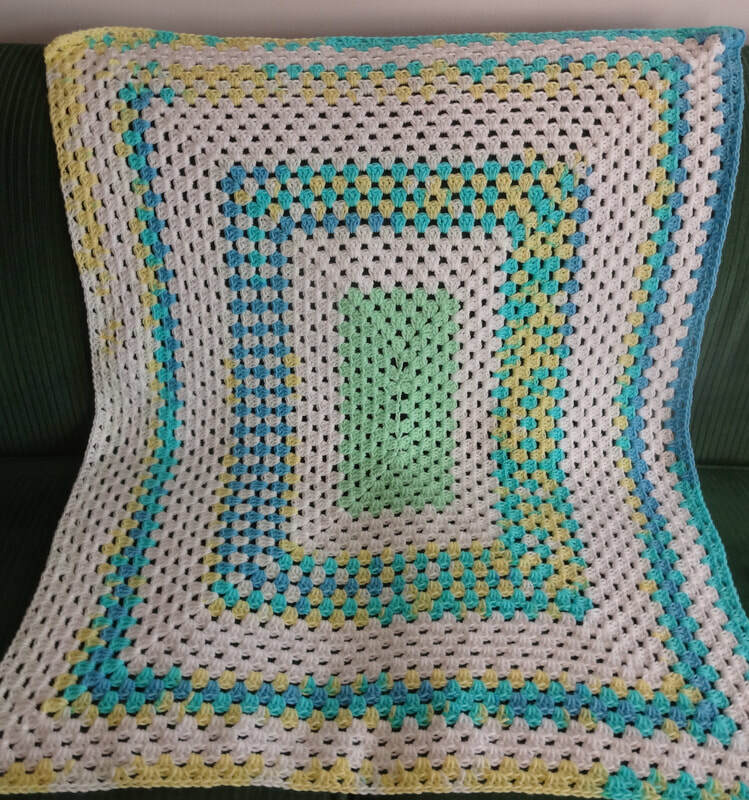 My goal for this summer was to complete at least two blankets, I’m now half way to goal. I’ve finished off the join-as-you-go blanket. I made the strips then joined the strips together using the continuous method which means there are less ends to sew in. 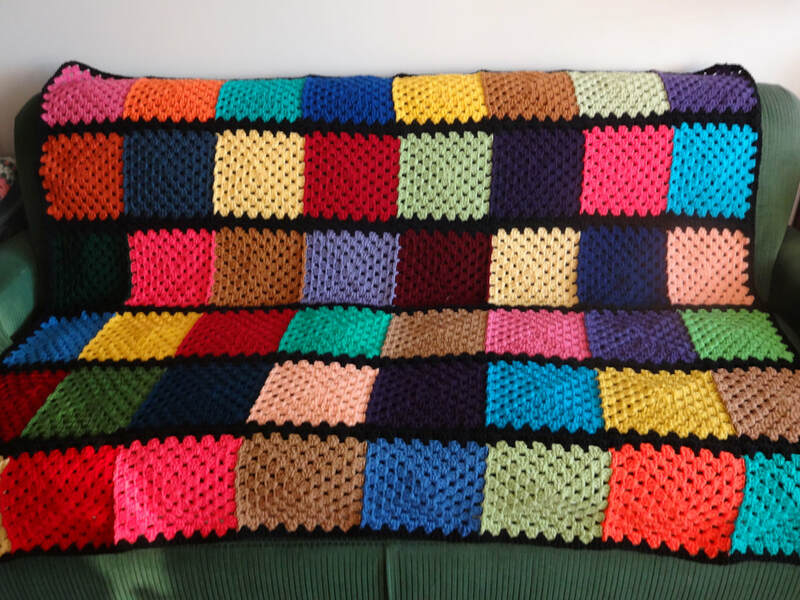 If you are considering making one of these blankets the one comment I would make is be aware that by using random skeins of yarn the thickness may vary slightly by brand and type of yarn. 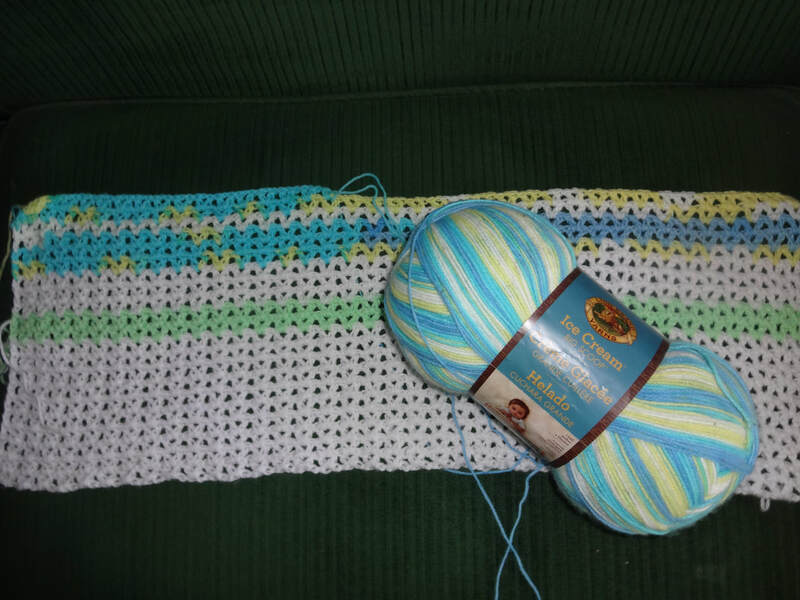 Since completing this blanket I’ve moved on to sewing some of the squares donated by crochet guild, Toronto Hookups Crochet Guild, into a blanket. It’s hot and humid here today so that project has been put aside until cooler temps. 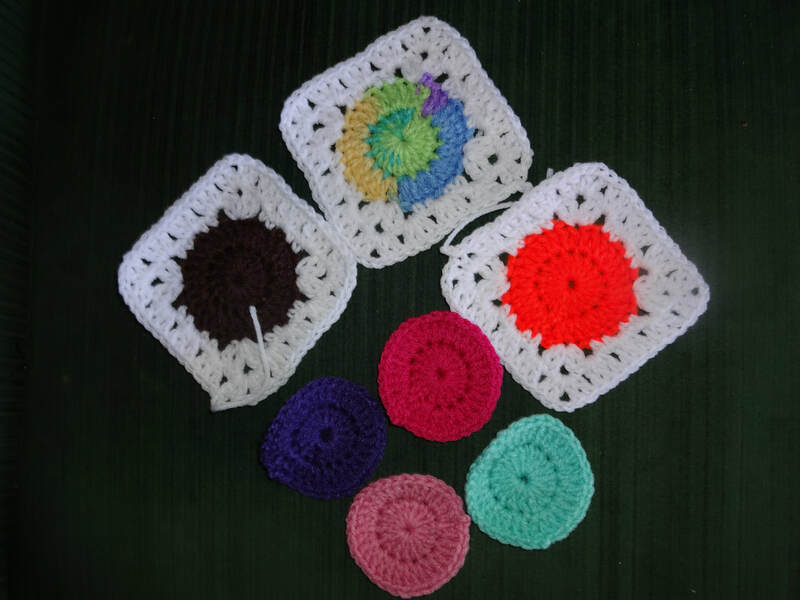 So it’s time for me to move back to working on the squares for one of my other projects. 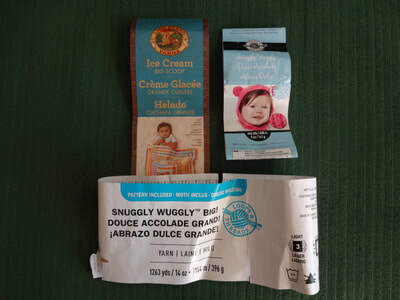 Dalyce Newby – I’ve been the area volunteer for the Greater Toronto & Area chapter since 2001. My primary crafts are crocheting and knitting. I also have an interest in scrapbooking and I'm currently working on a heritage album.